This is the second post of “Weishang Knows Cosmetics”. In the previous post, we explained how weishang is gaining more influence in the cosmetic sector, traditionally dominated by overseas cosmetic companies like L’Oreal, Amore Pacific, and Shiseido. In this post, we will give an example of a weishang based in Shanghai that leverages their salesforce and builds their brand. Pearlosophy is a Shanghai-based cosmetic weishang looking to capitalize on the stunning growth China’s beauty market is witnessing. With only 10 people working in their office, they see sales of tens of millions RMB every month. The company has a network of over 1,000 Internet celebrities (网红 or wanghong in English) that act like wholesalers taking proceeds from the sales as payment. Most of these Internet celebrities are post-90s and some have a following of 300,000 people. To make sure that Pearlosophy can maintain their salesforce, the company organizes offline events and seminars. A top Internet celebrity can make 600,000 RMB (86,000 USD) a month through cosmetic sales, according to Peggy. 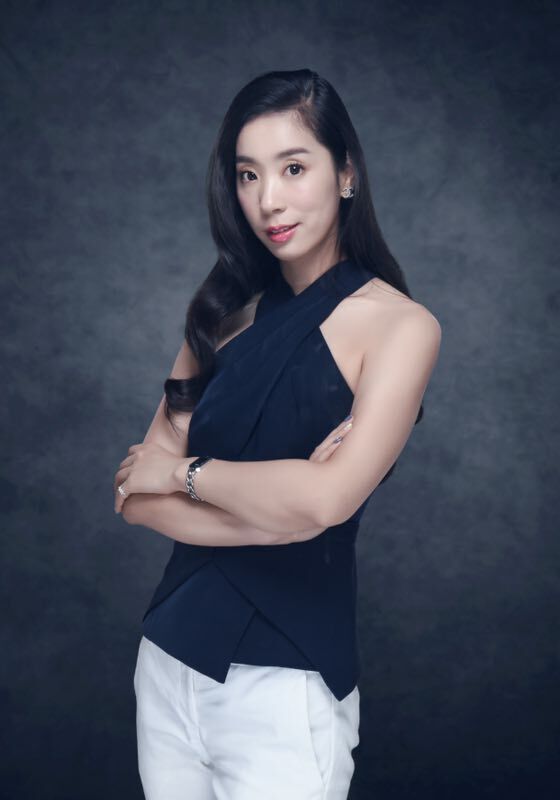 Peggy Sun, the 32-year-old CEO of Pearlosophy, communicates with through WeChat with groups ranging from the Top 88 sellers to a general sellers group. Peggy previously ran a brick-and-mortar cosmetics retail store in China for 10 years, where she sold international brands including Sephora’s cosmetic products. But the business didn’t grow quick enough for her. With the advent of weishang, she opened her own business in November 2015. She says the key to her success has been branding. China market is showing a huge appetite for international cosmetic brands. Foreign-funded enterprises may still play a dominant role in China’s cosmetics market, accounting for roughly 86% of the total volume of retail sales, but cosmetic sales online is dominated by weishangs. One of the strategies for the company to stay competitive in the market is to building trust with the top products. Pearlosophy’s sources their products from OEMs in South Korea, France, and Australia to ensure the cosmetics are safe and high-quality. 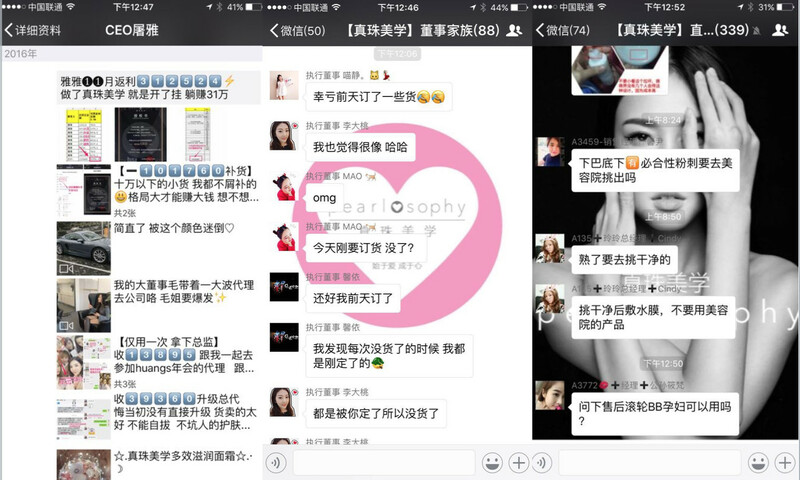 In 2014, 80% of beauty products sold on WeChat by weishang were facial care masks, and Pearlosophy is no different. They started their business selling the same masks. Currently, their 50% of product is skin care segments, which are best sellers after the still-dominating face masks. However, Peggy is not sure if WeChat will be the ultimate platform to dominate the businesses.